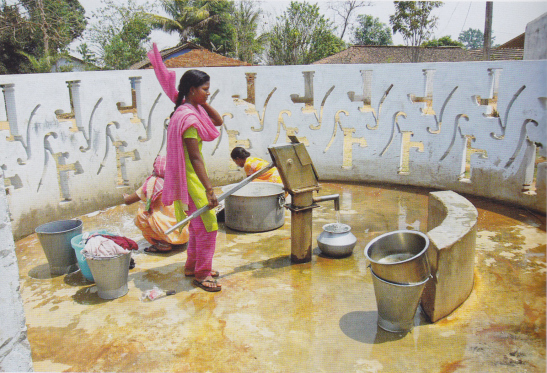 Water pump in the Indian village of Kopaweda, formed by a pump surrounded by a muddy pool, emerged as a central meting point for women in the village and nexus of daily activity, essential to daily survival. After lengthy dialogue plans for free for restructuring the pump sites. 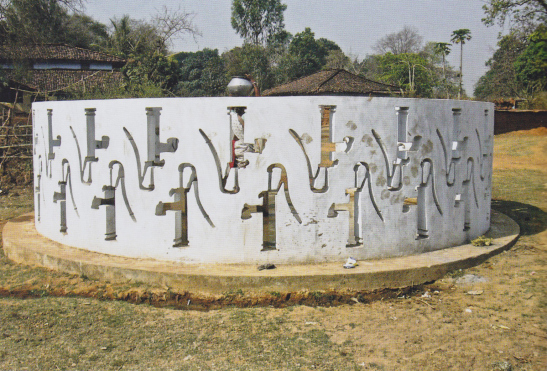 In 2001 the first water pump structure was built or Nalpar site, consisting of a smooth concrete pad, a more efficient pump design, an enclosure incorporating Adivasi cultural symbols and a system of paved trenches to channel the water and collect it into smaller reservoirs. The sites operates on a more practical, ergonomic level and the construction was undertaken collaboratively.